Your company’s mobility depends on its fleet of cars and trucks. Bedsides just moving people and products around, the vehicles can do so much more. Fleet graphics take full advantage of visual space to transform vehicles into rolling ads. However, this opportunity doesn’t come without risks. Let’s find out more. 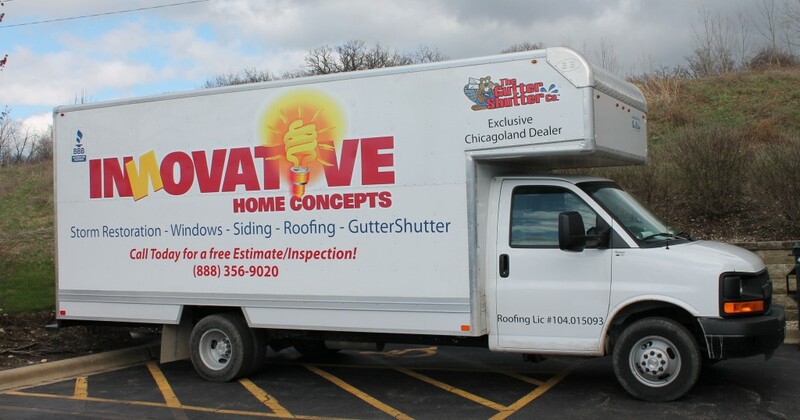 For top quality fleet graphics in Chicago, contact us or call (630) 289-7082. When your logo is seen moving around town, the brand name sticks. The competition to get in front of the eyes of the consumer gets tougher every day. By outfitting your vehicles with attractive colors, lettering, and images potential customers become familiar with your brand. A single vehicle carrying your logo can generate between 30,000 – 70,000 impressions per day. Once the graphics are applied, there are no ongoing costs unlike other ads that require renewal. There’s quite a bit more going on here than meets the eye. See how we used bold lettering and left out clutter. There’s no doubt about the company’s services, and the phone number is easy to see. Plus, the Better Business Logo helps build consumer confidence. Check out the results for their pickups and cars. Simply fantastic. The prudent use of all available space increases the chance that fellow drivers or pedestrians take notice. When you boldly put your company name on a vehicle, you run a bit of a risk. Why? If the quality of the graphics are poor, it can have a negative impact on your brand. Go back and look at the quality and detail of the Innovative graphics. There’s no blurring or fading. Everything looks sharp and the colors pop out at you. Beauty may only be skin deep, but when it comes to fleet graphics, the skin is all that counts. Make sure that only the highest quality material is used to withstand all types of weather. For example, 3M laminates are known for their top-of-the-line quality. 3M even guarantees their materials for 8 years. You’ll probably trade in your vehicle before you have to replace a 3M wrap. Finally, the wrap should be carefully applied in an environmentally controlled environment to achieve the best results. 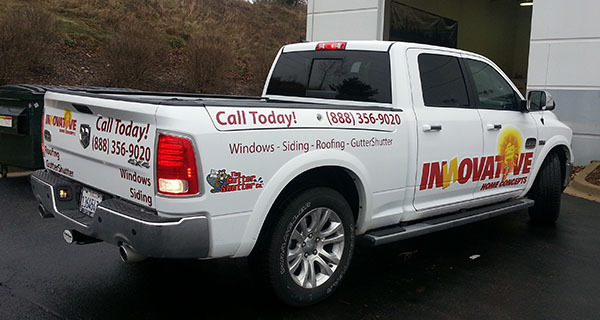 Fleet graphics are an excellent way to leverage your company’s vehicle investment. Make sure the quality of the work matches your brand’s excellence. Want your fleet graphics to look perfect? Then contact us or give us a call at (630) 289-7082. Serving Chicago and the surrounding area.